Water is the most vital substance we put in our bodies. It accounts for 70% of our body. It’s crucial to all life processes. It’s also the most simple, readily available substance we can consume. When we’re hydrated, we look younger and more vibrant. We feel more alive. Ultimately, we live longer. 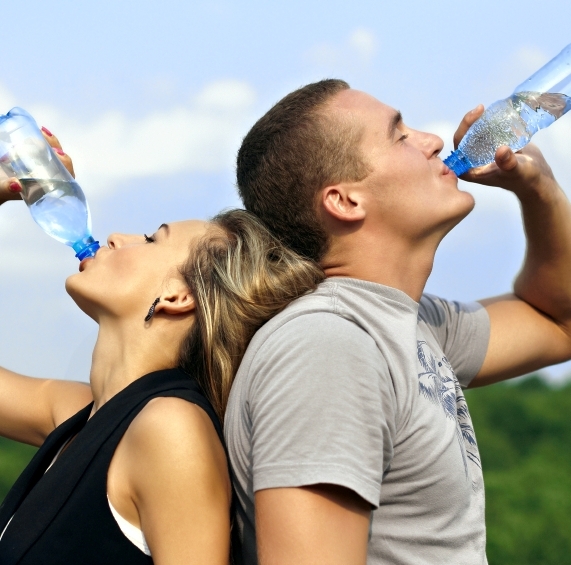 Below are 5 ways that drinking water can make you healthier. Drinking water removes fat products, reduces eating intake and raises your metabolism because it has zero calories. Water boosts your immune system and helps you fight against flu, cancer and other ailments such as heart attacks. Water helps in relieving and preventing headaches like migraines and back pains which are commonly caused by dehydration. Consuming plenty of water will improve your skin and will make you glow. It is the cheapest and most effective method to get glowing, vibrant skin. Water decreases your appetite and acts as a filler in your stomach, helping you avoid binge eating. This entry was posted in Uncategorized and tagged appetite, diet, drinking water, head aches, headaches, health, hydration, immune system, skin, water, weight loss on August 27, 2014 by Drink H2O. 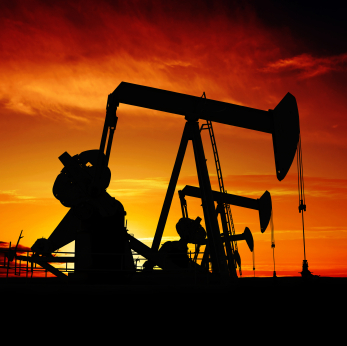 The highly controversial practice of hydraulic fracturing – better known as fracking – is back in the news again after a recent report revealed that regulations protecting municipal drinking water sources are not adequate. This comes on the heels of California’s announcement last months that it would be shutting down 11 fracking wastewater disposal sites for leaks that contaminated drinking water aquifers. Many expected the Government Accountability Office report to finally raise concerns about fracking’s effects on personal and environmental health , but a study by Media Matters found that the media is dropping the ball on covering the report’s findings. Fracking has mustered a great deal of support because of its proposed benefits, including increased energy independence and beefy economic stimulus (to the tune of $24-28 billion annually in large fracking states such as California). The practice’s drawbacks, though, negate its benefits. Oil companies love fracking because it is an an effective method for extracting more oil than regular vertical drilling. The hydraulic fracturing process drills down into the earth and then pumps a mixture of fluid chemicals and sand at a very high pressure to create horizontal fractures, releasing oil from rock formations. The oil – and the chemicals – then bubble to the surface. The safety of these wastewater injection wells is basically a crapshoot. The regulations for constructing one vary by location. For example, Ohio’s Department of Natural Resources issues permits to construct wells, but companies in Pennsylvania must go to the EPA for permits. The result? 200 wastewater injection wells in Ohio and only 10 in Pennsylvania. The GAO’s report suggests that these hastily granted permits (Ohio DNR typically processes applications in 6 weeks versus the EPA’s 6 months) result in poorly regulated wells that are responsible for poisoning water supplies. Despite being built of mostly steel and concrete, the wastewater injection well casings are highly susceptible to seismic activity , which wouldn’t be as much of an issue if fracking wasn’t also scientifically proven to cause earthquakes. Frequent earthquakes, caused by the process of injecting water into faults in the earth, damage these deep injection wells and allow dangerous chemicals to leak into the earth, and eventually into your tap water. The fact that constant reports of fracking’s negative effects on municipal drinking water haven’t been covered in the news is highly alarming. The Media Matter study found that in four of the states doing the most fracking (Texas, North Dakota, Pennsylvania, and Colorado), only one major newspaper reported on the GAO’s findings. Several of these papers have published editorials in support of fracking, likely revealing the reasoning behind their failure to cover the GAO report. As fracking continues to boom, the number of dangerous wastewater injection wells will also increase. Check out this map to see if fracking occurs where you live. As always, you can write a letter to your local Congressman, but unless you’re ready to include a fat check rivaling those oil and gas industry lobbyists are writing, your letter is likely to go unnoticed. If fracking is happening in your area, your water could be at risk today. Take matters into your hands and find out how a Whole Home Water System can protect you from the carcinogens fracking is releasing into your water. This entry was posted in Contaminants, Drinking Water, Pollution, Tap Water, Water Filter, Whole House System and tagged carcinogens, drilling, fracking, hydraulic fracturing, oil on August 15, 2014 by Adam. What would happen to your body if you didn’t drink water? Water does more for us than just quench our thirst. It’s one of the most vital substances for our body. Although drinking the recommended eight glasses of H2O a day seems difficult for most of us, not getting enough water can compromise our health because so many bodily functions rely on it. While we can withstand weeks without food, we can only survive five to seven days without water, but what would happen to our bodies if we stopped drinking water? In their video, “What If You Stopped Drinking Water?” Mitchell Moffit and Greggory Brown of AsapSCIENCE explain how quickly we would begin to feel the effects of dehydration and what exactly those effects would be. Moffit and Brown explain the reason we feverishly look for water is because H2O is the most abundant molecule that makes up 65 percent of an adult. “As the universal solvent, it carries nutrients and hormones to the body, regulates body temperature, cushions the joints, and provides lubricants in our eyes,” according to the AsapSCIENCE video. However, as we produce 1.5 liters of urine every day, it is essential that the body replaces the liquid before it begins to shut down. Completely depleting your body of water, even with fluids that contain water such as juice, coke, or tea, causes the brain to detect this change and creates the urge to drink something, hopefully water, immediately. 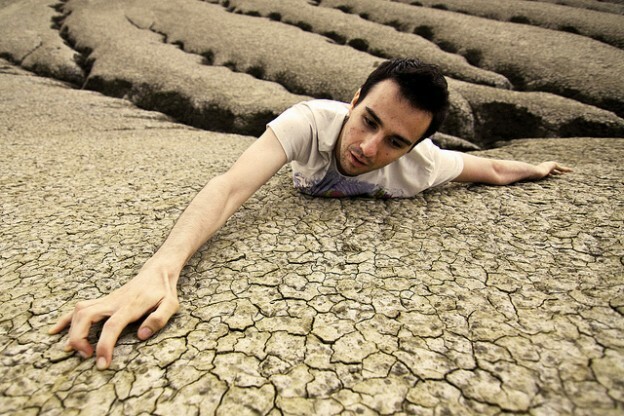 When we don’t drink water, we begin to experience the initial signs of dehydration such as dry mouth, followed by dark urine with a strong odor. This signals the body’s attempt to conserve more fluids. With one to two days of no fluids, we stop peeing altogether, have trouble swallowing, suffer from muscle spasms, and are more likely to experience nausea. The attention to digestion does not become a priority as victims become delirious and begin to suffer from severe brain function. Blood flow stops flowing to the skin, reduces heat loss, increases cork body temperature, and then gives us a bluish tint. Within three to five days, say Moffit and Brown, our organs and brain shut down. Therefore, it is essential to keep our bodies hydrated with pure H2O, to keep our immune system functioning. As water is essential for our bodies, it’s important to fight for clean water availability for all. This entry was posted in Dehydration and tagged body temperature, dehydration, drink water, eyes, hormones, nutrients, water on August 12, 2014 by Drink H2O. Toledo, Ohio’s weekend-long drinking water scare came to an end this morning, but this Midwestern city’s water woes are far from over. 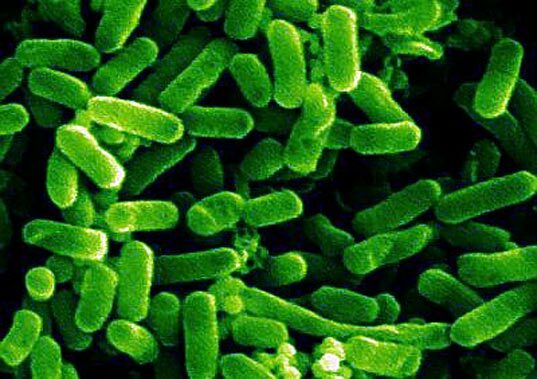 The buzz word in Toledo over the weekend was microcystin, referring to a deadly toxin found in blue-green algae blooms. Dangerous levels of the substance in Toledo’s drinking water led to a advisory against drinking, brushing teeth or bathing in city water. While death is rare in connection with the toxin, it did cause 75 deaths in Brazil in 1995. Microcystin can also cause liver malfunction, diarrhea and vomiting. This weekend’s scare was a result of widespread algal blooms in the Maumee Bay area of Lake Erie, Toledo’s main water source. 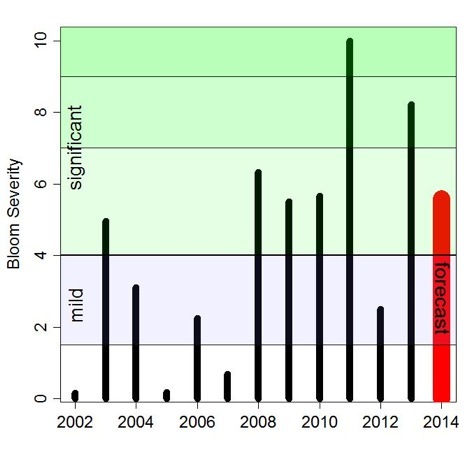 The blooms are not, however, the result of a natural disaster; Toledo’s water crisis is the first of what will likely be many man-made water crises related to unnatural growth in Lake Erie. 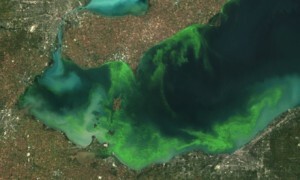 Algal blooms occur as a result of an inordinate amount of fertilizer flowing into Lake Erie from farms on the watershed. 86% of the fertilizer used on farms in Ohio, Indiana and Michigan is in the form of phosphorus-packed pellets. The use of fertilizer isn’t necessarily dangerous on its own, but a popular agricultural practice in the Lake Erie region called no-till farming can have some stark unintended consequences. In order to prevent erosion, farmers avoid plowing their fields, leaving fertilizer pellets on the surface, ready to be washed away. This is where nature comes in. Heavy rains easily wash away about 1 pound per acre of fertilizer into the Maumee River, which feeds into Maumee Bay. Just as phosphorus is intended to fuel crop growth, it feeds algae in Lake Erie, leading to toxic algal blooms. 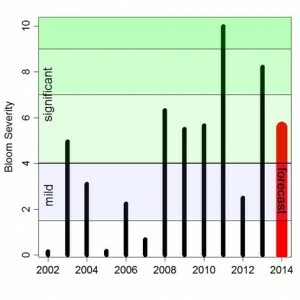 Algal blooms are nothing new in Lake Erie. In the 1960s, rampant agricultural and industrial pollution – to the tune of 64 million pounds of phosphorus per year – fed algal blooms. In addition to contaminating Toledo’s water supply, the growth led to seriously damaged marine life, a pressure point thanks to the multi-billion dollar Lake Erie tourism industry. 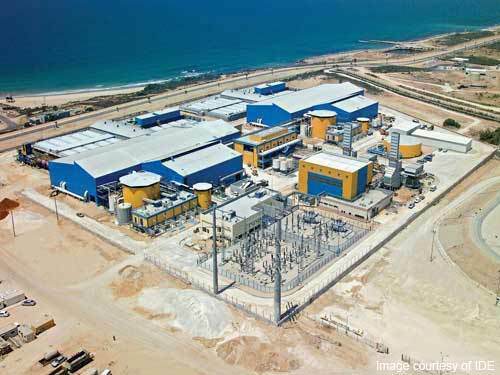 U.S. and Canada officials teamed up and spent $8 billion on sewage plant upgrades and cut the amount of phosphates allowed in household products. It seems obvious that this sixth straight year of increasingly widespread algal blooms necessitates some governmental intervention similar to that seen in the 70s and 80s. Today, a financial commitment of this stature (which, we might add, would be significantly higher considering inflation) would require much more than Toledo opening her pocket book. Farmers in Ohio as well as Indiana and Michigan (who share the same watershed), would have to commit to cutting fertilizer use or finding an alternative to no-till farming that would also not contribute to erosion. This is a highly unlikely outcome unless officials agree to compensate the farmers who will have to make significant changes to their practices. In fewer words, don’t expect a solution any time soon. Lake Erie’s science-fiction-style neon green takeover this past weekend is unfortunately going to be a familiar scene in lakes across the globe. 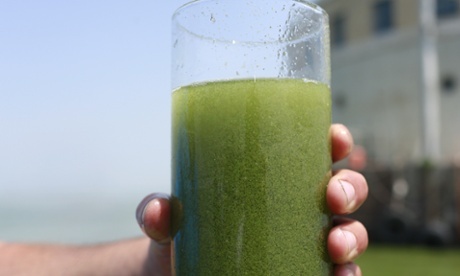 A 2012 report suggested that algal blooms will be “one of the most serious health risks of the 21st century,” appearing in China, Japan, Brazil and Australia. In the US alone, more than 40,000 large lakes may contain microcystin. With the rising importance of providing food for a booming population and an extreme water shortage hitting America’s largest agriculture-producing state, we can only expect use of phosphorus-laden fertilizers to continue. Rising temperatures have lead to more frequent and volatile storms, carrying an increasing amount of phosphorus into water sources. Toxic algae blooms thrive in higher temperatures. The problem is complicated further by foreign species such as Lake Erie’s zebra mussels, which eat non-toxic competitors to blue-green algae and excrete more phosphorus for the toxic algae to feast on. The recurring theme every time a water crisis arises as a result of preventable human actions is that it is the citizen’s responsibility to care for his or her own water. While a municipality’s first interest should always be its own people, we see time and again that political complications often take the front seat. This current crisis will likely be relegated to the back burner until elections have passed. In the mean time, we recommend writing your local representative and ask about what your municipality is doing to avoid the oncoming dangers of algal blooms. Also, consider a drinking water system to protect yourself and your family from future water crises. This entry was posted in Agriculture, Contaminants, Drinking Water, Ground water, Pollution and tagged agricultural pollution, algae, algal bloom, blue-green algae, industrial pollution, lake erie, microcystin, toledo, toledo water on August 4, 2014 by Adam.